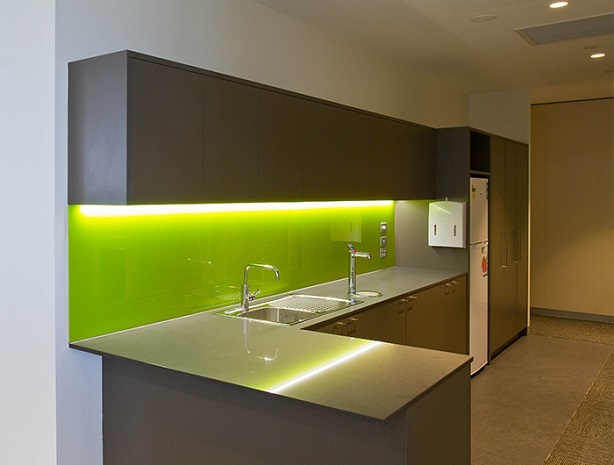 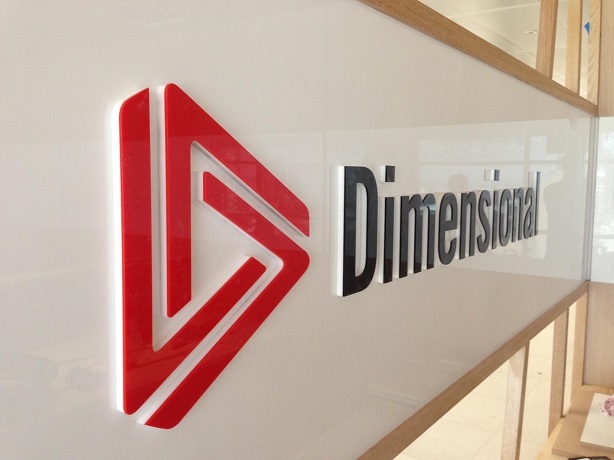 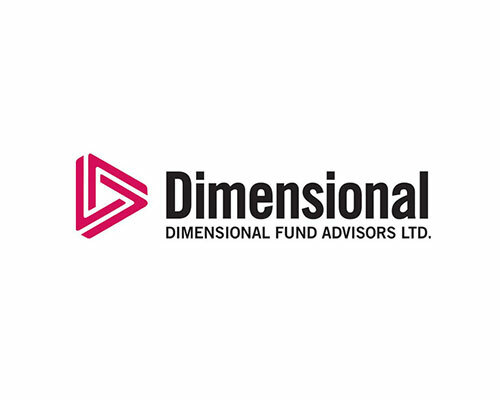 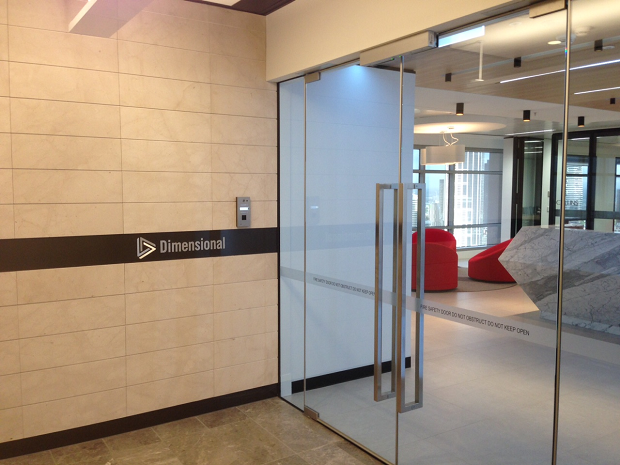 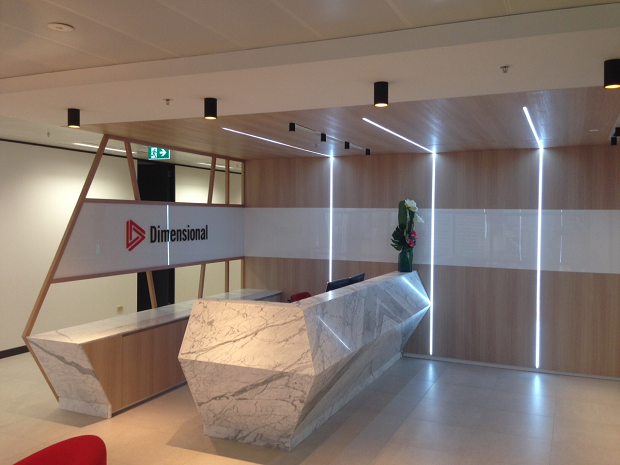 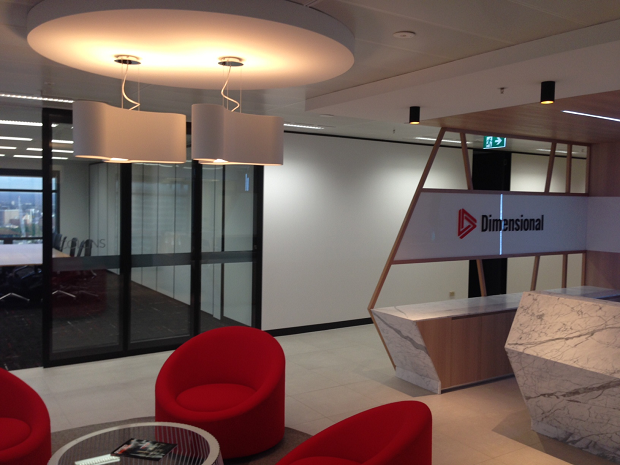 Dimensional, located on Collins Street in Melbourne’s CBD have seen the interior of their offices transformed, with modernised, high quality finishes to reflect their brand. 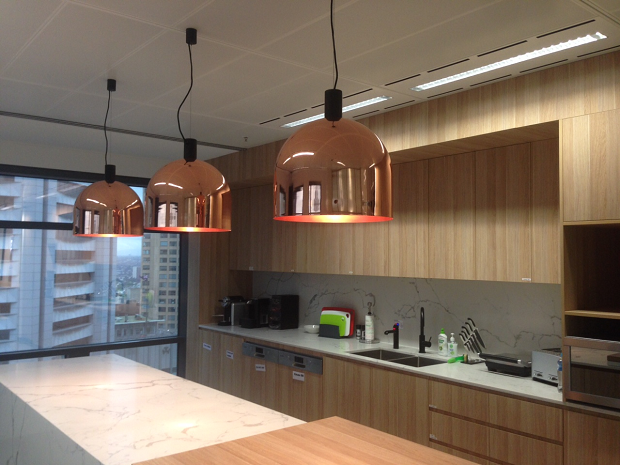 Prolux were contracted to undertake the five week office fit-out, consisting of the rearrangement of existing base building lights, installation of new feature lighting, reprograming of KNX lighting control system to suit the new lighting layout, data and communications, wiring, data cabling (CAT6) and power connection for all new offices, workstations, front of house receptions and seating areas, kitchenette and printing area, meeting rooms, board rooms, along with power, light switches and sensors for all areas. 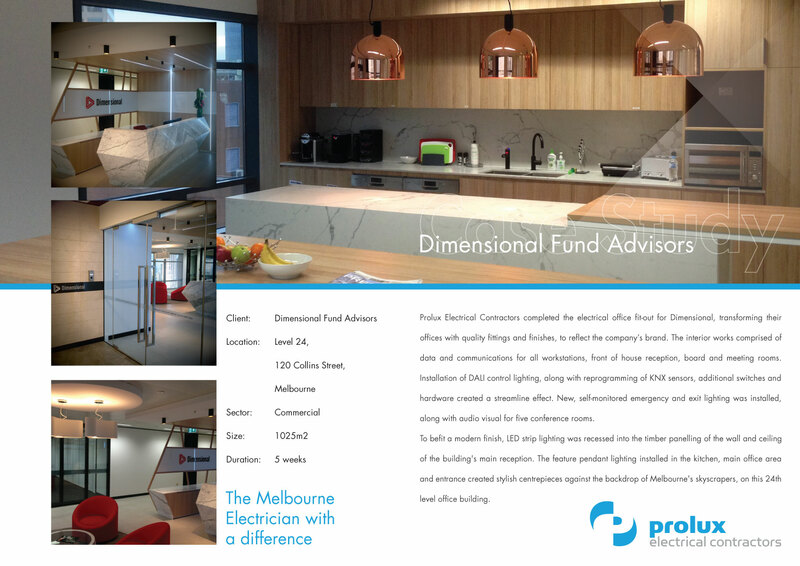 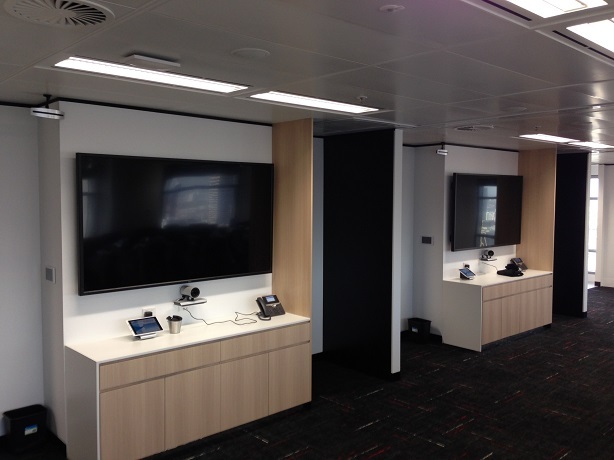 Prolux Electrical installed all new emergency and exit lighting, i-Automation sensors and fittings, audio visual installation for five conference rooms: with a architecture design for colour tuneable. 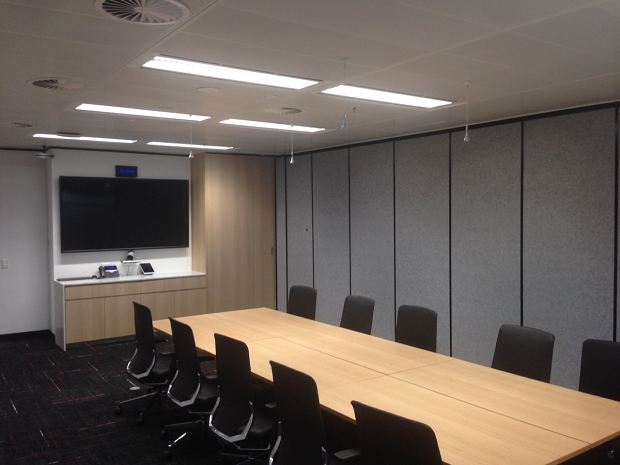 LED strip lighting was recessed into the timber paneling of the wall and ceiling to give this prestigious financial institution clean finishes. 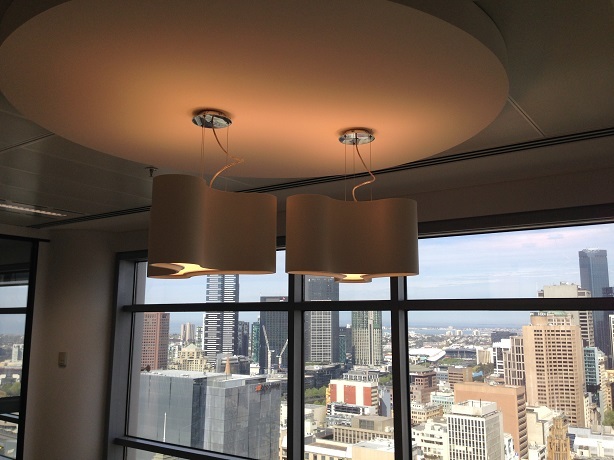 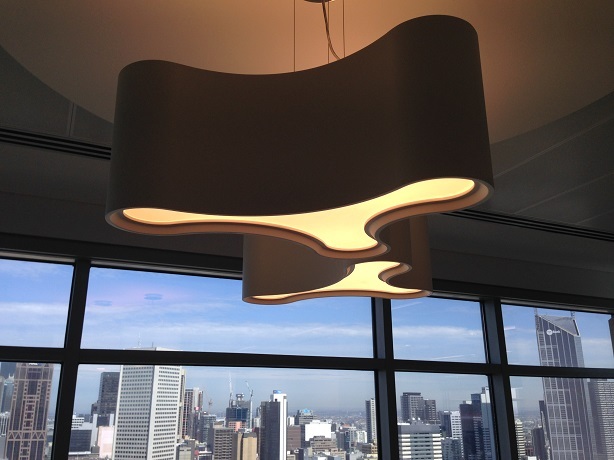 The pendant lighting installed created stylish centre pieces; spectacular looking against the backdrop of the city’s skyscrapers, on this 24th level office building.